Eyeshadow Primer - Worth the Hype? As much as I love makeup I am also very lazy so when it comes to applying it, I like simple and easy steps. I started loving face primer way after everyone else because I felt like it was just another step until I found one I really loved. 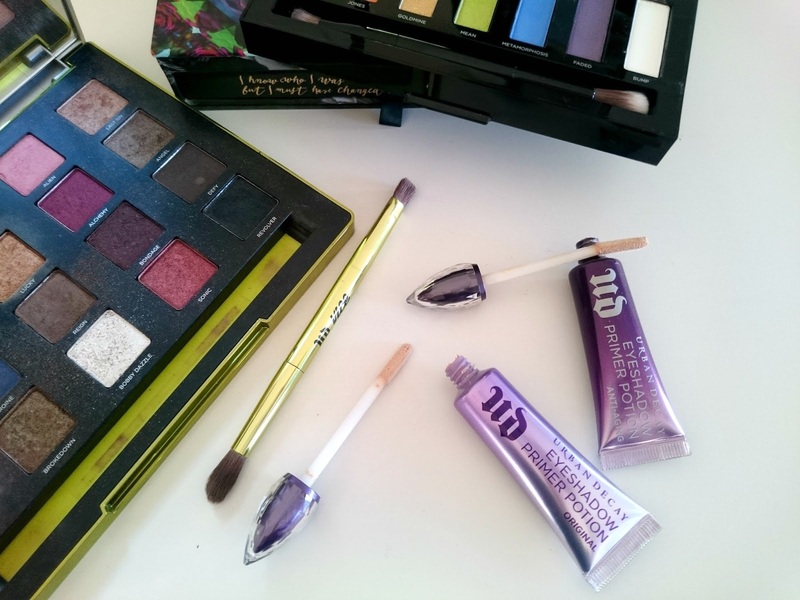 When I first discovered eye shadow primer, I felt exactly the same until one afternoon I pulled out all my makeup and had a play around, turns out I totally loved that too and I haven't looked back. 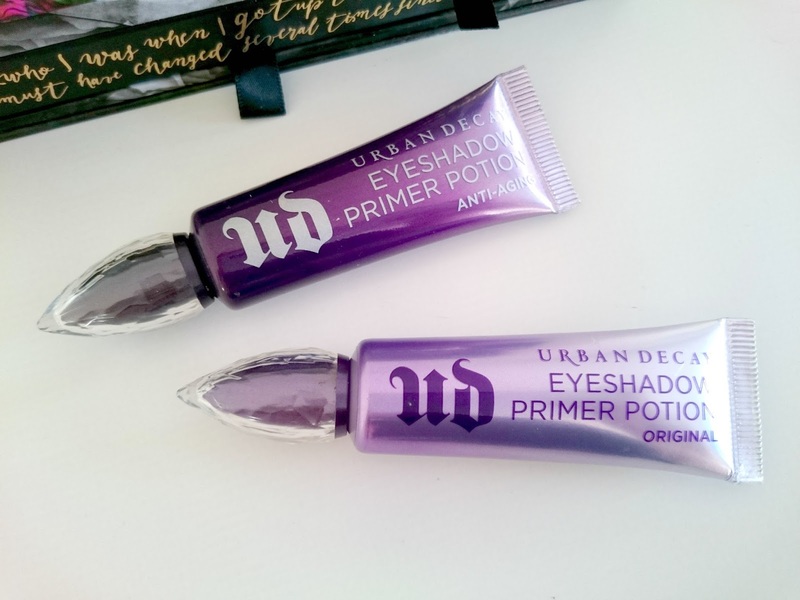 I use the Urban Decay Primer Potions just because they're the only ones I've ever had in my collection due to receiving both in goody bags from events. I haven't tried any other brands as I've been so happy using these I haven't felt like I need to try more. 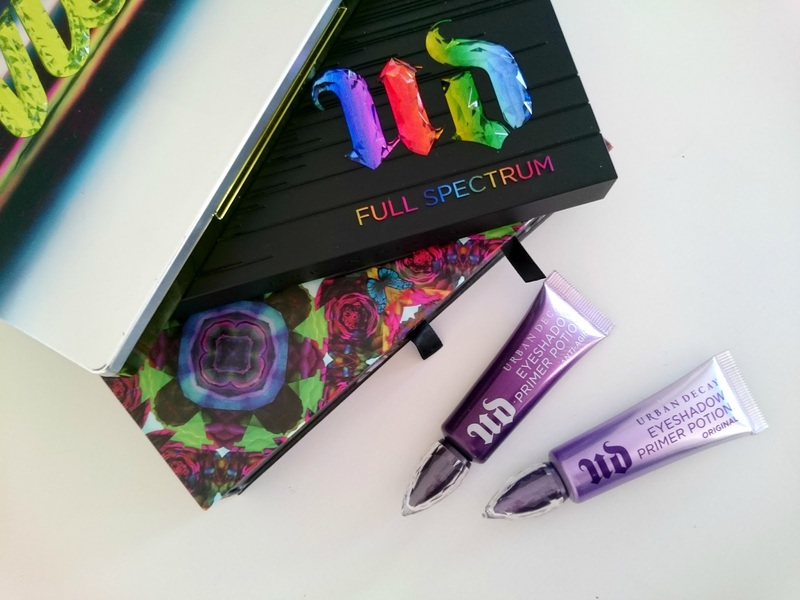 I feel like it's as good as it gets with Urban Decay products. As the Full Spectrum palette landed in my hands a couple of weeks ago and it's full of colourful shades I thought it was only right to test it out with my beloved primer potions. The Primer Potions work by making your eyeshadow last, prevent creasing and intensify the finish of your eye makeup. The original is a best seller as it blends beautifully on all skin tones and dries to an invisible finish whereas the anti-ageing version has anti-ageing benefits as well as a crease free and smooth application. 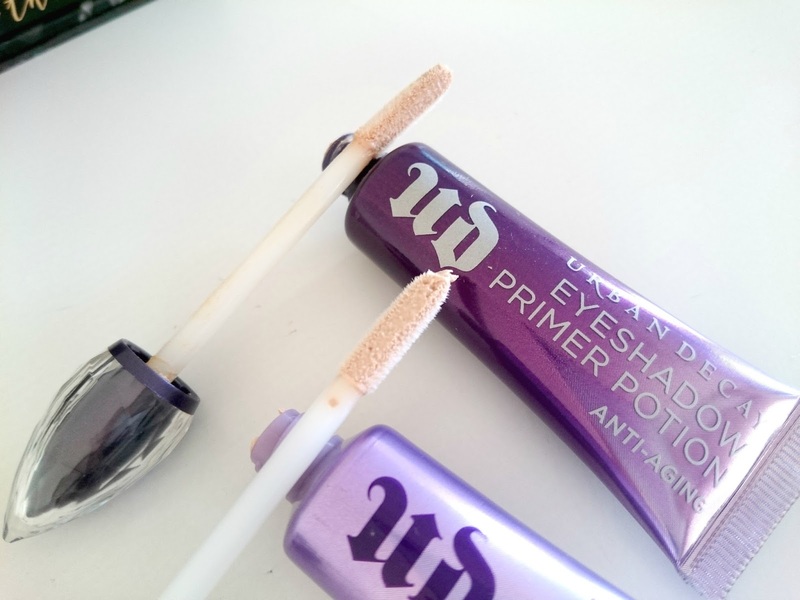 I love the packaging of these, all variations come in purple tubes with a jewelled lid and a wand meaning application is a doddle. It also means you can apply exactly where you need it with no wastage. As you can see in the photos above, the primer really does intensify your eyeshadow. 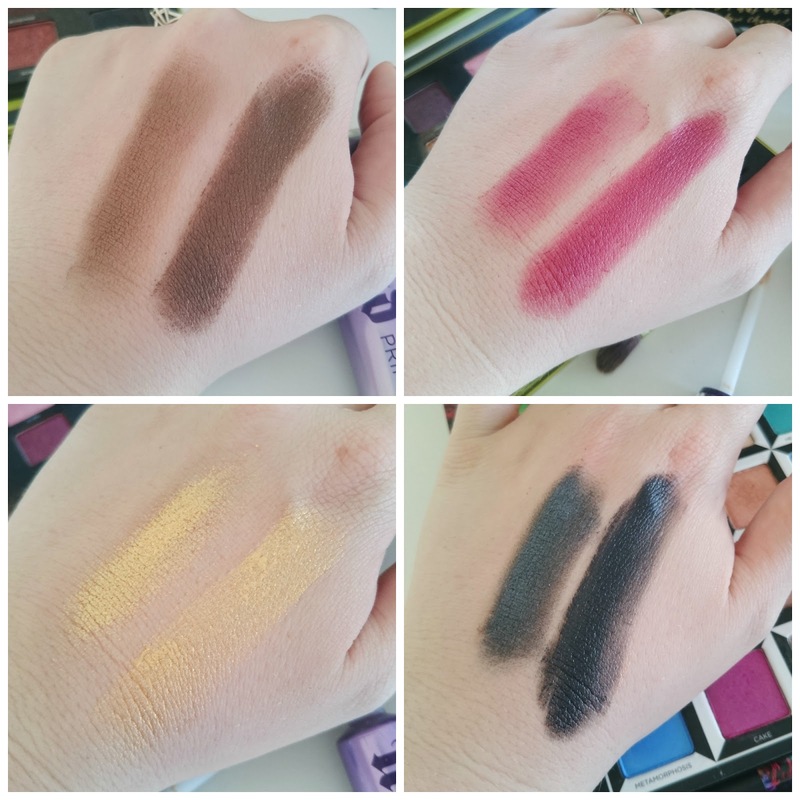 I've only been using these the last few months and I was so surprised at just how much of a difference they make to my makeup as not only does the colour look incredible but it lasts so much longer too. So is eyeshadow primer worth the hype? 100% yes! Let me know if you've tried any other brands, I'd love your recommendations. I use this, although I prefer the old packaging. But it really is essential for me. Even though I don't wear much make-up I have to use this extra step because otherwise eyeshadow comes off in a few hours! i've been really getting into eye shadow lately so maybe this should be my next purchase! 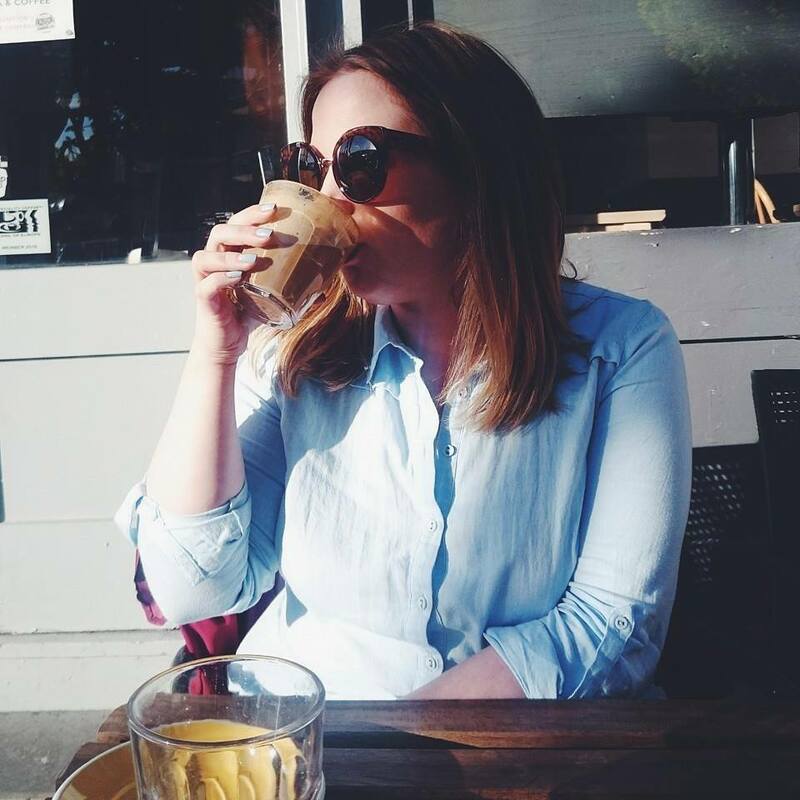 i'm assuming that in your pictures, the swatches on the right of your hand have been done over primer? if so, that is an amazing difference! I have oily eyelids, so a primer is a must for me! I'm using the LORAC one.